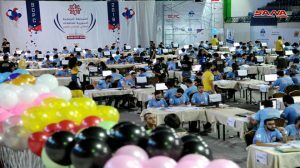 Damascus, SANA- 75 teams from 20 Syrian universities and educational bodies has been competing for five hours continuously at al-Jalaa Sports Hall in the eighth national final of the ACM SCPC Syrian Collegiate Programming Contest. 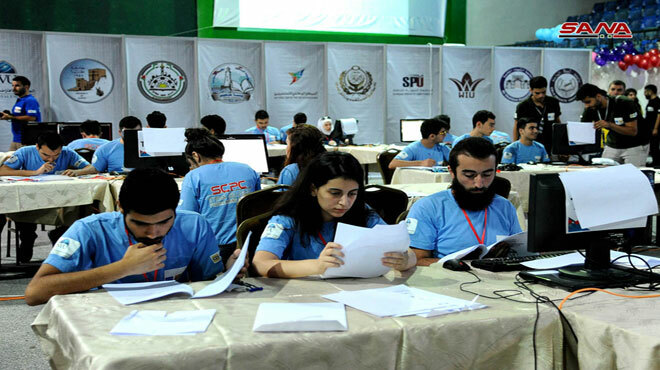 The contest is organized by the Syrian Virtual University, in cooperation with the administration of the Syrian programming contest. 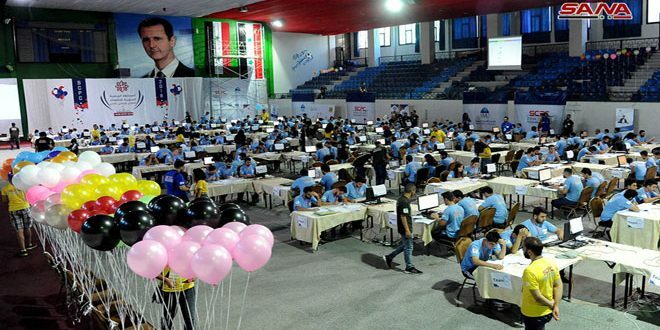 The Competition gathers the smartest programmers from different universities and scientific governmental and private institutions in one hall , with the aim of promoting creativity , teamwork and encouraging new ways to build new programming. 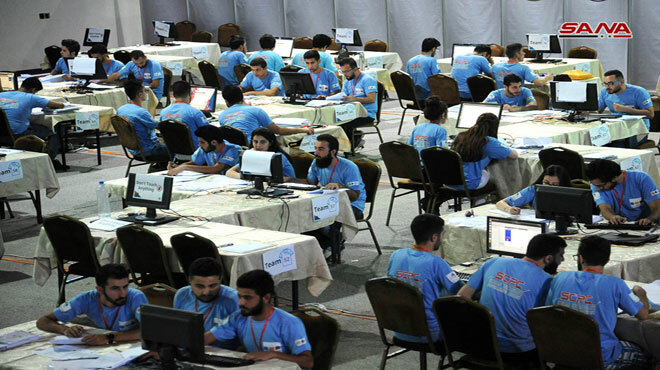 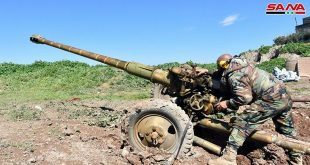 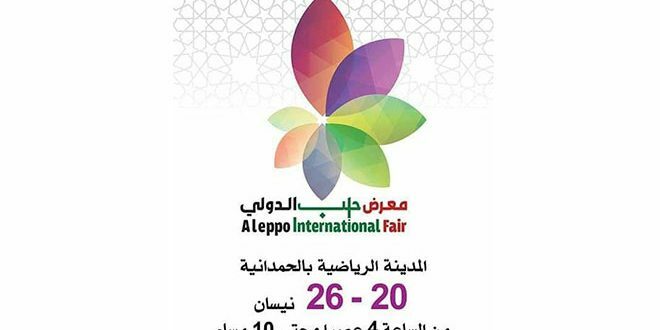 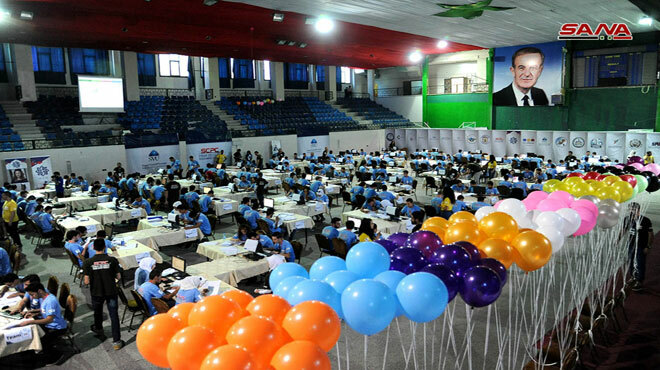 The teams participating in the contest included 500 students from the universities of Damascus, Aleppo, al-Baath, Tishreen, Tartus , the Virtual University, the Arab International University, the Syrian Private University and The Higher Institute for Applied Sciences and Technology (HIAST), and the branches of Lattakia, al-Yarmouk, al-Jazeera, al-Ittihad , Ebla , al-Shahbaa, al-wadi and Qourtaba in the Arab Academy for Science and Technology and Maritime Transport, the Excellence and Creativity Commission of the Syrian Science Olympiad and the National Center for the Distinguished. 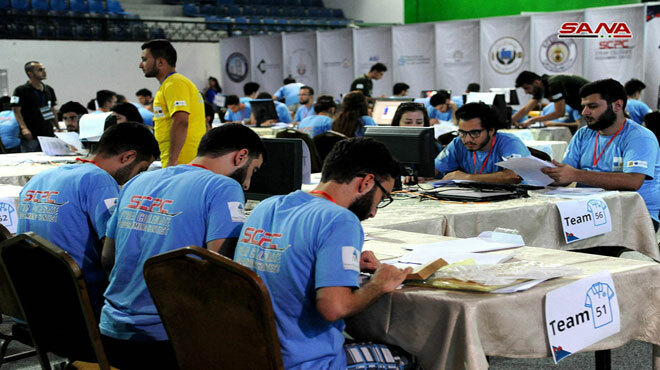 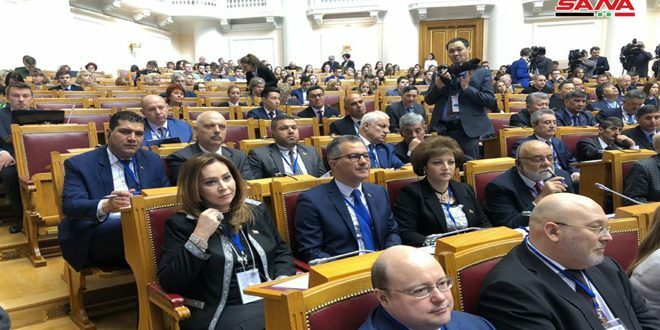 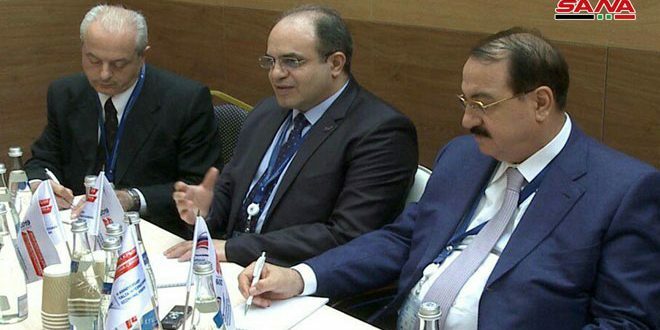 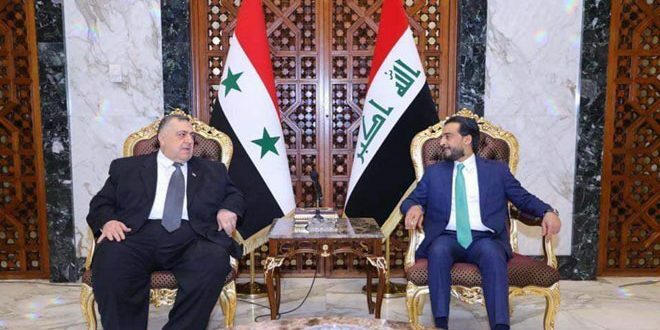 Head of the Syrian Programming Contest, Jaafar al-Kheir said that the winning teams in the contest will qualify to participate in the Arab regional contest due to be held in the Egyptian city of Sharm El-Sheikh in November.